From left: teacher Clara Steece with student Sam, teacher Melissa Clark with Brian, and teacher Megan Anderson with Eliza during a session at the New England Center for Children in Southborough. The center is a leader in the treatment of autism. Vincent Strully, founder and CEO of the New England Center for Children in Southborough, stood before staffers on March 5 to dedicate his school’s latest project. The new $68 million center for children with autism, he told the crowd, is state of the art, with no expense spared. “It’s by far the leading facility for children with autism anywhere in the world,” Strully declared, speaking from Abu Dhabi, capital of the United Arab Emirates. Nine time zones and 7,000 miles away from Southborough, the New England Center for Children-Abu Dhabi opened its doors in March to 62 Emirati children, with 74 on the waiting list as more classrooms open. Licensed as a branch of New England Center for Children, the Abu Dhabi school is run by staffers from both Southborough and the United Arab Emirates. It was in 1997 that the royal family came to Boston Children’s Hospital after their 3-year-old son was diagnosed with autism in England. The diagnosis was confirmed by Children’s, which referred the family to NECC. Vincent Strully is founder and CEO of the New England Center for Children. The center, known as a leader in applied behavior analysis, has been cited by the US Department of Education as a model for professional development for the on-site graduate programs it offers staffers. The method, formerly known as behavior modification, uses interventions and incentives to change disruptive actions associated with autism. Autism, a spectrum of developmental disorders that impair social and communication skills, affects 2 percent of US children ages 6 to 17, according to the national Centers for Disease Control. Because diagnostic services are just developing in Abu Dhabi, there are no firm figures on autism. 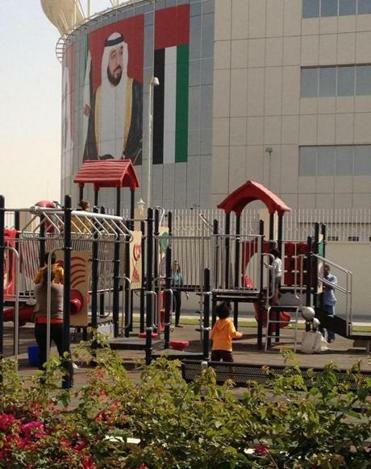 But extrapolating from rates in other countries, NECC estimates that at least 1,000 Arab children in Abu Dhabi are on the spectrum, along with an unknown number of children of foreign workers living in the UAE. When the Emirati royal family visited Southborough, they liked what they saw and asked NECC for its help. Eight weeks later, Strully, two teachers, and a clinical psychologist arrived in Abu Dhabi and set up a preschool in a villa next to the palace for the little boy. When he turned 8, he came to Southborough and attended NECC for nearly two years. Returning to Abu Dhabi, he attended private school, assisted by NECC staffers. He is now a college student in Abu Dhabi. Meanwhile, the boy’s cousin had also been referred to NECC, and in 2007, Crown Prince Sheikh Mohamed bin Zayed Al Nahyan asked the school to build a replica in Abu Dhabi. The project has been the blending of two distinctly different cultures — Arab women never show their arms or ankles — with staffers from Southborough rotating into and out of Abu Dhabi, or relocating there permanently. Today, the school staff is 47 percent American; the rest are Arabs, trained by NECC. For the Americans, the assignment has proven to be a plum one, with free housing, a food stipend, and gym membership provided. There have even been eight marriages among the American staff and other expatriates living in Abu Dhabi. The Abu Dhabi NECC was in temporary space until the opening of the new facility. Gould initially signed a two-year contract, extended for three more, and recently extended for another three. His wife, Karen, directs the Applied Behavior Analysis program at Northeastern University, and remains in Boston. “Although it is a big sacrifice to live so far apart, technology allows us to remain in daily contact,” Gould said recently. He and his wife regularly “meet in the middle,” traveling to Europe, Asia, and Africa. Abu Dhabi could hardly be more different from New England. The oil-rich United Arab Emirates, a monarchy, is only 41 years old, and one of the wealthiest in the world. Much of it is desert, bordered by Saudi Arabia, Qatar, and Oman. Temperatures hover in the mid- to high 90s and in summer, can soar to over 105 degrees. Islam is the state religion, Arabic the language. “As in any Muslim city, you hear the prayer calls, you see the mosques,” said Strully. “But it’s very tolerant of other religious groups.” The Americans who work for NECC-Abu Dhabi feel free to celebrate their own religious holidays. Teacher Lauren Davis works with Tommy at the Southborough school, which has 250 students in year-round classes, 133 of them in a residential program. Abu Dhabi is an ultramodern city with wide boulevards, lots of parks, good beaches, and a futuristic skyline mixed with mosques. There are museums and malls, a lively restaurant scene, and a women’s university system. Though women have more rights in the UAE than in most other Middle Eastern countries — they are allowed to drive, and they don’t wear burkas — most still cover their heads and wear long black robes. The American NECC staff dresses more modestly than they might at home. “I want to see longer sleeves, and I don’t want to see cleavage,” Strully said. Knees must be covered, but the Western women do not cover their heads. Tasneem Aburoza, who is from Abu Dhabi, is the head therapist at the school, and has been with the program nearly five years. While the Arabs tend to be more emotional, showing affection and hugging their students, she says, the Americans are more exacting and professional. But working together, the staffers learn from each other and pick up new approaches. Not only do they work together, they play together: The Americans have taught the Arabs beach volleyball. Still, occasional cultural issues do arise. Pam Olsen is the program director for the Abu Dhabi school and has lived there since 2007. She had just turned 30, was single and living in a basement apartment in Shrewsbury when she was tapped to go. What she can’t do? Per Arab custom, she won’t shake a man’s hand unless he extends his first. Student Mohamed and teacher Rasha Baruni at work. 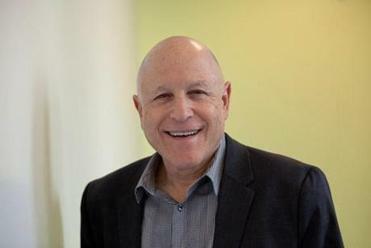 The New England Center for Children on Route 9 in Southborough is an international leader in the field of applied behavior analysis, a teaching method that seeks to curb tantrums, aggression, rocking, pacing, and head slapping that can characterize autism. “Applied behavior analysis is designed to determine the best way to address deficits the child might have that interferes with learning,” said Strully, who founded NECC in 1975. In fact, the Center wrote the book on the subject: the “Autism Curriculum Encyclopedia,” an online curriculum in English and now Arabic that includes the research and methodology of applied behavior analysis. The Southborough school has won several awards for its work, and its highly structured, individualized curriculum with one-on-one teaching is used at both centers. Both facilities offer employees free graduate programs in special education and applied behavior analysis in conjunction with Simmons College and Western New England University. Dr. Mugheer Al Khaili, director general of the Abu Dhabi Education Council, said in an e-mail that his country wanted to replicate the Southborough school down to its staffing patterns, curriculum, materials, and management. The Massachusetts school has 250 students in year-round classes, 133 of them in a residential program. Those under 3 years of age are served by teachers and therapists in a home-based program. Tuition rates are set by the state, under the Chapter 766 special education law, and students “age out” of the program at 22. The playground in Abu Dhabi. Most of the tuition, which ranges from $90,000 to $120,000 a year, is paid by the state and the child’s home school district. In Abu Dhabi, the government picks up all costs, and children of all socioeconomic classes attend. As in Southborough, Abu Dhabi has classrooms of seven students and six teachers, and small groups for socialization. Each child has his or her own learning cubby with a desk, computer, bookcase, and detailed daily lesson plan. The new school has 16 classrooms, but not all are open yet. When completed, a residential program will house 24 children. Dr. Fayeza Al Awadhi is a family physician whose daughter Mariam was among the first enrolled when the school was in temporary quarters. Six years later, at age 9, she’s at the new center. “I tell them this was like God answered our prayers,” said Al Awadhi. “We all noticed a difference in her behavior. She became a very happy kid when she joined the school.” Once a week, her teacher and assistant visit the home, and once a month, the family meets at the center. NECC isn’t stopping at Abu Dhabi. Its staff has provided training to other Gulf states, and has been in talks with India and China. Strully, who visits the Abu Dhabi school four times a year, notes that the need is global. Pam Olsen is 35 now, and has recently signed another three-year contract to stay in Abu Dhabi. In three more years, she may re-up again.